Those who purchase any of the three Super Special Deluxe versions of Call of Duty: Infinite Warfare will receive a free bonus: the remastered version of Call of Duty: Modern Warfare. 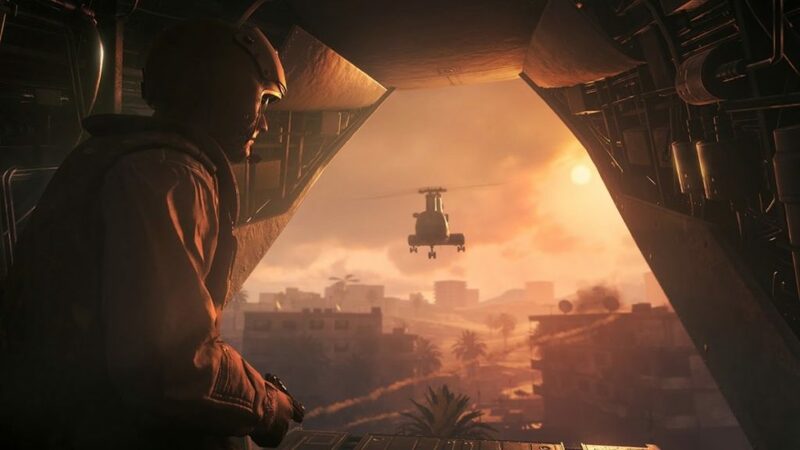 If you’re unhappy with the fact you can’t purchase it separately, you should know it’s working: there are those who are buying the deluxe edition of Infinite Warfare solely for the Modern Warfare revival. And today Activision reminded everyone of the special offer with this new trailer. “New” is a subjective term here, given every bit of scenery was first seen nine years ago. But it’s been given quite a polish: this game, while first conceived in 2007, still looks great. There’s a way to start playing one month early — those who preordered Infinite Warfare will be given the chance to play the open beta for Modern Warfare Remastered beginning in October. Unfortuately the deal only covers PS4 and XBox One players; PC gamers will be left out with no explanation. Call of Duty: Modern Warfare Remastered will be included with the Legacy Edition, Digital Legacy Edition, Legacy Pro Edition, and Digital Deluxe Edition of Infinite Warfare. It’ll contain all 16 original multiplayer maps, but not at once — ten will be available at launch and the other six will slip in late as free DLC. Both Call of Duty: Infinite Warfare and its earthbound father will be released together November 4 on Playstation 4, XBox One and PC.